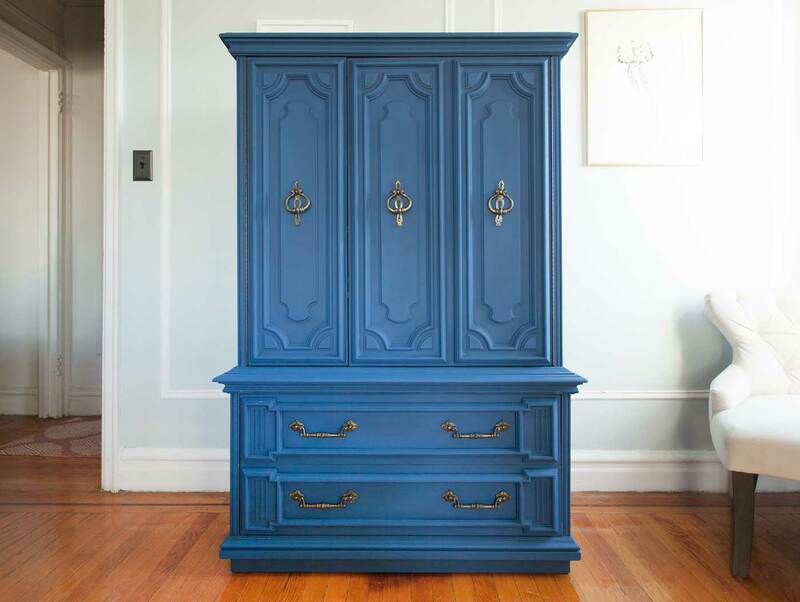 This armoire arrived to us in a gloomy state. 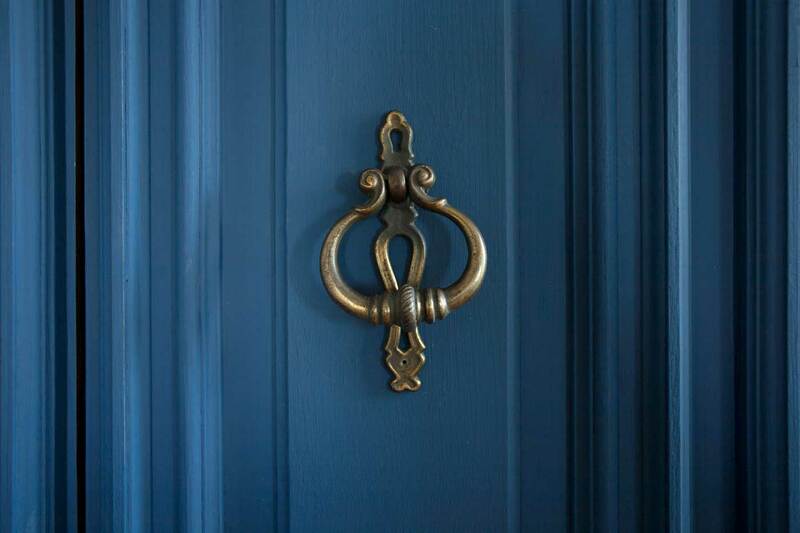 We prescribed vibrancy. 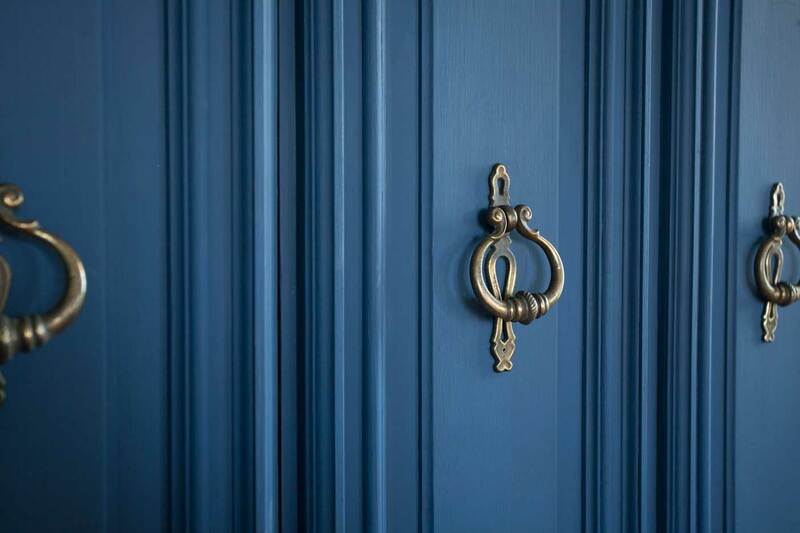 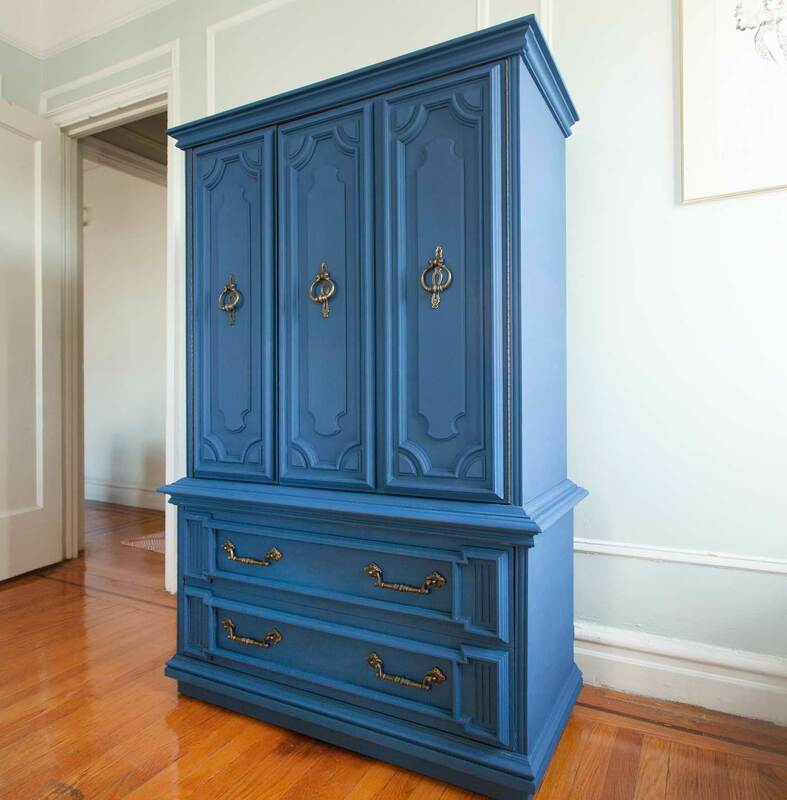 We chose a joyful blue shade to brighten things up and left the antique hardware aged and tarnished for contrast.